Do you watch the drama series Glowing Embers that airs every Monday to Thursday at 10.00pm on ntv7? We make sure we tune in to Glowing Embers every night as this intense series promises strong story lines with dramatic twists revolving around the little known charcoal industry in Taiping, Perak with excellent performances by the cast members. 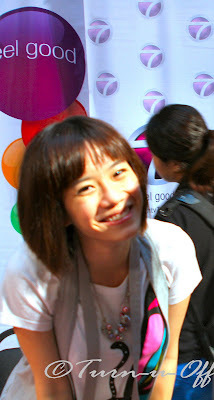 And not to forget our favorite local actress, Debbie Goh is one of the main characters in the series! We started to notice her when she acted in Age of Glory, the highest rated drama series in 2008. Anyway, we attended "Glowing Embers" Drama Publicity Roadshow at Sg. Wang Plaza on 3 April 2010 and here are some of the pictures taken by our friend Faruq. Ralph was so happy to finally meet the beautiful Debbie Goh (Miss Chinese International Malaysia 1998) in person! Henley Hii (Taiwan-based SABAHAN) is so handsome! Seriously, if he were to join the CLEO's 50 Most Eligible Bachelors, I'd vote for him! I'm 110% serious. The final episode will be on Tuesday, 20 April 2010 and now they are filming Age of Glory 2. 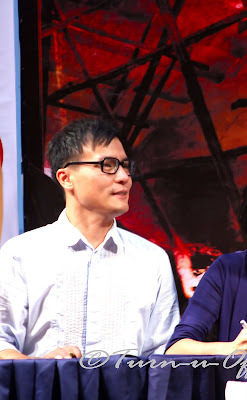 Omg I can't wait to see Debbie Goh acting again! wah you guys are fast!! I've never seen or heard of this. But I have to say it is cool to go to something like this roadshow, and the pics are simply awesome. henley is indeed so handsome! waaaaah! 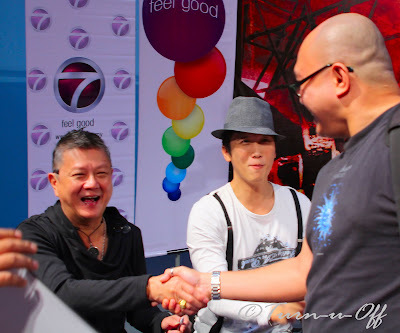 who woudn't be happy shaking hands with a celebrity! Oh, my! it's a local drama hehe..
she's also an actress here in the phils, is she popular there? huh?? she's also an actress in the phils? I didn't know that =-O yes she's quite popular here..
yes she is, in fact she also had a tv series here last year! wow.. so she can speak Tagalog? yes she can! she's also good at it. i haven't seen the drama series before. btw,did Ralph get Debbie's autograph? not familiar with the show, but it sure looks good..
Wah Sg.Wang - Concourse level? Must be pretty crowded that day. Debbie is beautiful, somehow, i like Roby - She s cute. Hehehe. Yes! I watched Glowing Embers but on and off. I think I prefer Age Of Glory! Haha, but no matter as long as Debbie Goh is in it! LOL! Wah! So you got to meet them in real - so how does Debbie looks like in real life? Give me a detailed description! LOL! cos I didn't want to go up to the stage hahaha! haha u don't watch Chinese drama series, right? Morning Monica, wahhhh replying comments .. I haven replied my comments! haha yeah.. finally replying my comments! hi sweetie, i'm here too!